Alexandra Otieva is a modern, actively working demanded artist born in Russia. She is master of watercolours. After experiencing the influence of the Russian school of painting with watercolour on a wet sheet, Alexandra expresses herself in different genres, reflecting her inner world. Emotional depth and versatility are the main quality not only of watercolours, but also of the author herself who chose one of the most complex techniques of painting. Thanks to the bright or transparent shades and details, the artist creates works that inspire reflection and dreaming. 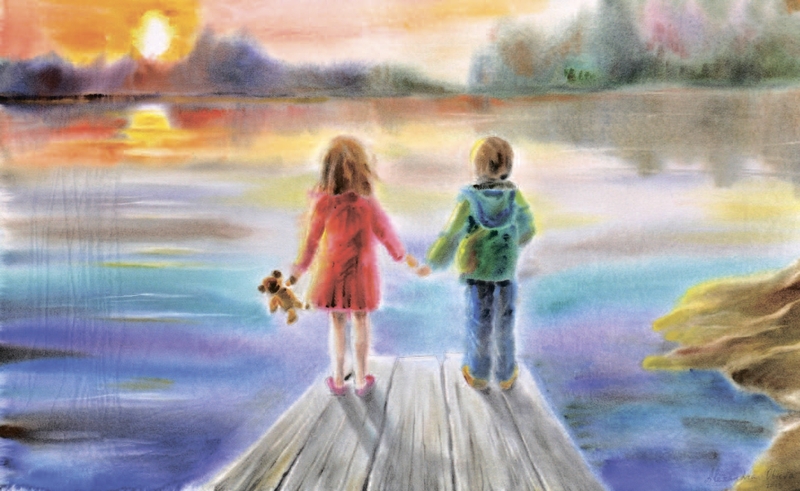 She demonstrates that watercolour is not only a transparent pastel painting, but also a bright, rich, sophisticated technique full of emotions. Since the age of 24 Alexandra has been living and working on the French Riviera, which inspired artists for centuries by its special light, the colours of the sea. How did it happen that you become an artist? I started painting as soon as I learned to hold a pencil, and I always knew that I would become an artist. 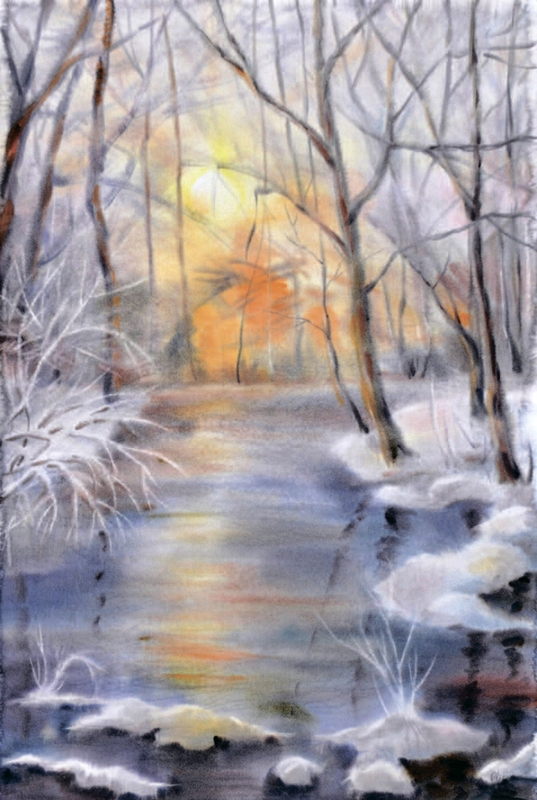 I studied watercolour in the art workshops of the Union of Artists in Saratov, because only in Russia one of the most complex techniques – watercolour on the wet sheet – is well developed. Before taking the plunge into art, you studied International Economics. Tell us about the path that led you to today's achievements? I became an artist much earlier than an economist. During the period of study for an economist I combined my studies with art and was lost in the workshops for days, mastering watercolour in search of self-expression. Already in the second year of an economic university, I participated in my first international exhibition in France. I always realized that I have only one life and it is foolish to spend it not on your true aim in life and not to make dream the idea of life. I decided to make the most important step in my life – I took pictures, paint and moved to France to devote myself to art. Are you influenced by any trends in art, and if so, by which ones? I always listen to my heart. All images are born within me, inspired by nature and people. Since childhood, I dreamed of drawing in such a way that the picture could decorate rooms and hang on the wall, and not just be put in children's sketches album. I was always fascinated and inspired by the Impressionist paintings, as well as by the freedom of self-expression. What kind of works are dear to you and why? It is difficult to single out the preferences out of one's own works. Each work is different in its own way, because it reflects part of my inner world. I use French watercolour paper – 100% cotton and the best "St. Petersburg" watercolour made of honey. What do you want to convey through your works? Alexandra, tell us about your painting technique. 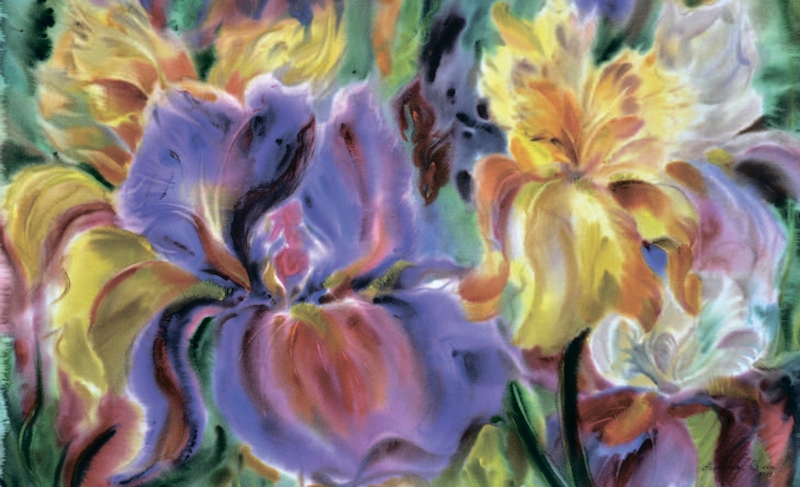 Watercolour on the wet sheet is a technique consisting in saturation the sheet with water from both sides, by impregnating it and applying paints in one go. Mastering the technique requires time and attention, you need to know exactly the degree of watering the paper with water (watercolour is already a water-soluble paint) in order to achieve the desired effect. An error here is not subject to correction. Dynamic strokes, colour effects, special transparency and fluidity are the unique qualities of watercolour. What is your favourite plot, your source of inspiration? I travel a lot and take inspiration from nature, new emotions, music, and people. The most important is nature in all its manifestations, everything created by it is "ideal, bewitching and sometimes unreal". Art for me became a way of self-expression, a reflection of my inner world, a perception of the external environment. A journey through life – what can be more mysterious? Mood is an indispensable component of the watercolour landscape. My goal is the author's vision, to find with the help of intuition by that very feature in the landscape which will give a unique sounding to the work. What are the main stages of your creative career? Looking back, I think the real landmark was my immigration to France – the process of formation of personality, growing up, the desire to make the dreams come true, despite any difficulties. At the age of 24 it was one of the most important steps in my life – to give up permanent place of work giving means of existence, and to follow my desire to create, which determined my fate as an artist in France. In my paintings, you can note different periods and observe how the character of my works and the colour scheme change. 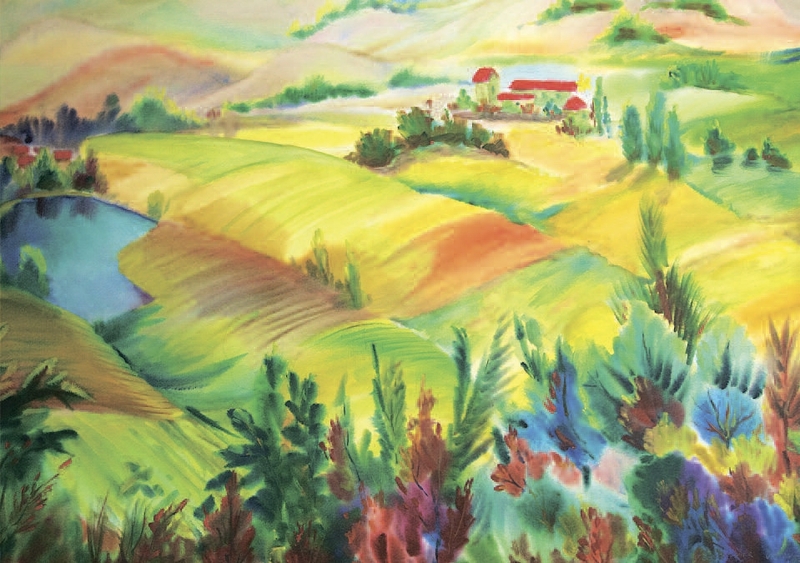 What inspired you to create the series called "Impressions", "Tuscany" and "Russian Winter"? "Tuscany" was inspired by my travels in this beautiful land. Thanks to the boundless inspiration, the whole series of vivid works was created. 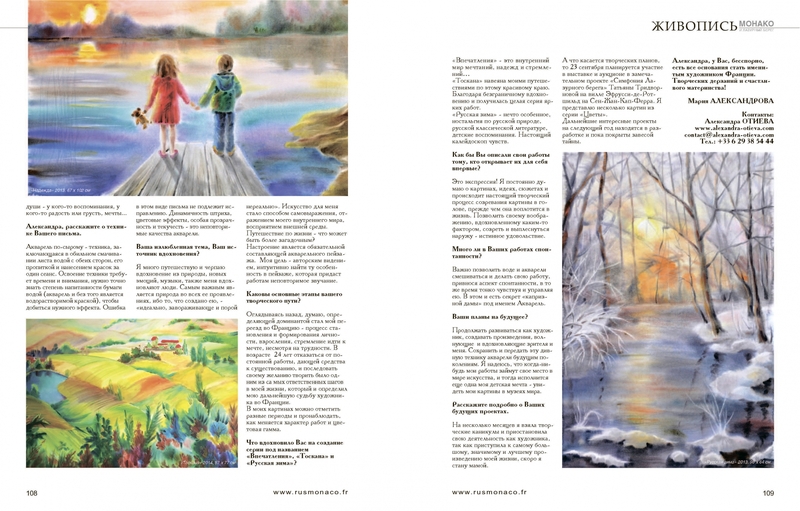 "Russian winter" – something special, nostalgia for Russian nature, Russian classical literature, childhood memories. A real kaleidoscope of feelings. How would you describe your work to the one who gets acquainted with them for the first time? This is just an expression! I constantly think about pictures, ideas, plots and there is a real creative process of forming the picture in my head before it comes to life. It is a real pleasure – to allow your imagination, inspired by some factor, to ripen and splash out. Are there many spontaneous works among yours? It is important to allow water and watercolours to mix and do their work, introducing an aspect of spontaneity while subtly sensing and managing it at the same time. This is the secret of "capricious thing" under the name of Watercolour. Continue to develop as an artist, create works that excite and inspire the audience and me. Save and transfer this marvellous technique of watercolour to future generations. I hope that someday my works will take their place in the world of art, and then my childhood dream – to see my paintings in museums of the world – will come true. Tell us in detail about your future projects. I took a creative vacation and stopped my activity as an artist for several months, as I started the biggest, most significant and best work of my life – soon I will become a mother.